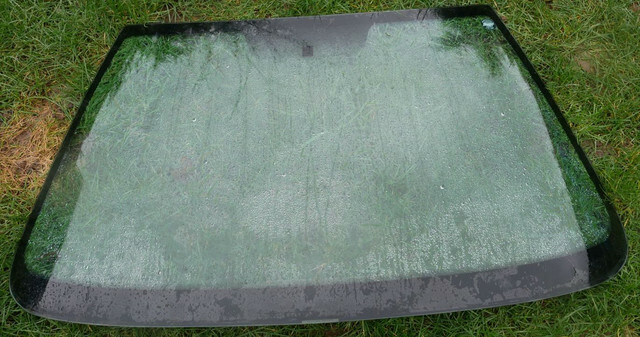 Does anyone have a windscreen for a Saxo that they are breaking? If anyone has a saxo they are breaking I could come and help you take it out, but can't pay if it cracks when taking it out. No idea what you are going on about. I am not paying anywhere to fit a windscreen as it's not worth it. If I can't get a cheap windscreen I will scrap the car. So you’re willing to have a go at stripping one out but if you break it you don’t care? £75 to buy new is it really worth the hassle? 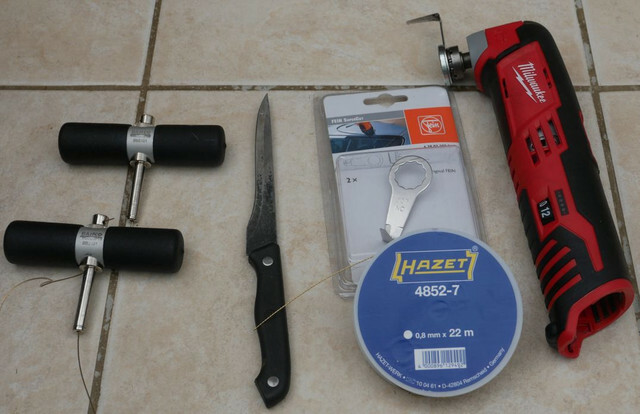 It's not as simple as you think fitting a windscreen,but we'll let you find out. I disagree, it is a simple job fitting it. I have done it with quite a few 4x4 vehicles over the years. Last one I did was a 1998 SSangyoung Korando. If you can run a decent bead round your bath, you can fit a windscreen. The challenge is cutting the old one out without breaking it. I have about a 50% success rate. With 2 people it is much easier to get it out without breaking it. As it's hit and miss whether it comes out in one piece, I am not willing to pay if it breaks. If I can get one out in one piece it is worth the hassle. Done quite a few over the years on 4x4 vehicles. And no, it's not worth £75. The car is barely worth that. If I can't find a windscreen in the next couple of weeks the car will be scrapped. I need the space here. This made me laugh, do you realise the forces that go through a windscreen in a crash never mind a object to glass impact. The windscreen isn’t bonded in just for a laugh it’s bonded using primer and a structural sealer. No it’s not simple and the fact you said it is basically says it all. If the car isn’t worth £75 just get rid it’s another hazard taken off the road . Your quote also made me laugh. 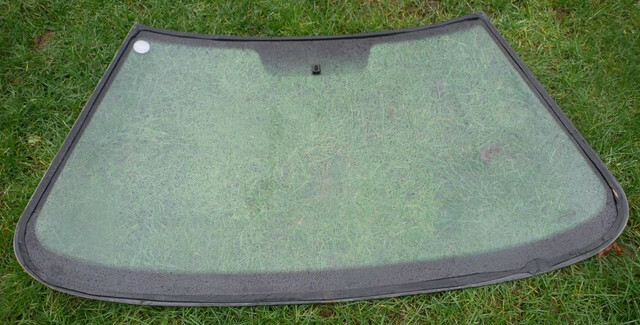 All the windscreens I have replaced in my 4x4 vehicles have stood up to years of abuse on green lanes etc. Nothing has fallen out yet! It costs £13.99 and is decent stuff. I am sorry, but I am missing the rocket science part. Maybe I need to go and go a PHD in windscreen fitting? If you think what I am doing is extremely dangerous, I think it's best you don't go out the house alone. I think it's you who are being a knob head. I asked if anyone had a windscreen, and you came out with a load of patronising crap. You also didn’t follow forum rules you posted in the wrong section. That sir makes you a knob head. I wonder if your insurance company know,your windscreen has been fitted by a DIY bodger? Also there are two plastic clips that set the height of the windscreen at the bottom but you will see these with the wiper panel removed, i think you would have a good chance of removal with the abrasive wire cutting tool. once you have cut three sides out you can tilt the screen and access the last part with a stanley knife. I appreciate your reply, as everyone else has been a complete prick, especially bedford126 and Stevo67. I managed to find a car with a screen on Monday at a local scrap yard and cut it out. It all came out in one piece without a crack. This is my workflow - I made a hole with a thin knife at each corner and threaded cutting wire through. 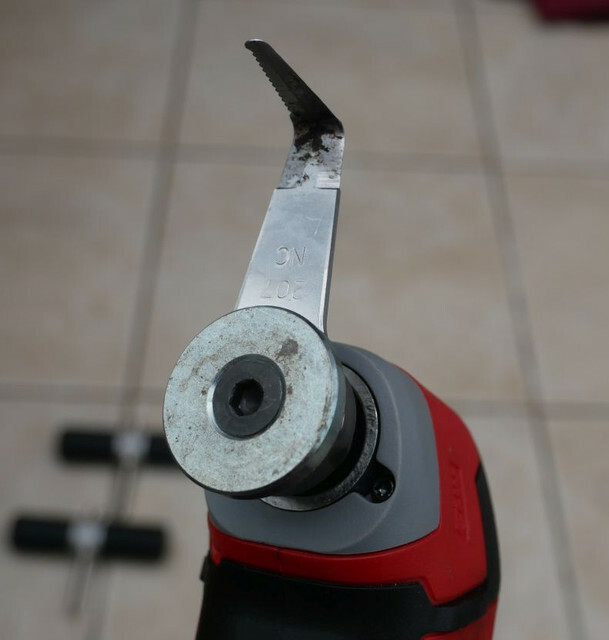 Some time ago I drilled a hole through the knife blade so it grips the wire to push it through. I then did all the corners with the wire by hand (a few inches around). Once the corners were done, I then used my MILWAUKEE C12MT multi tool with a Fein cutting blade to do the straights. The bottom of the screen is quite thick with polyurethane, but the multi tools cuts 95% of it. The rest was easily cut with a stanley blade, as all other sides were cut. Actually it was a really easy job. The Fein multi tools is super fast on the straights. The whole screen took me no more than 45 minutes. It would be possible to do it a lot quicker, but I wanted to be super careful to make sure I did not crack it. I repeat, it's not rocket science, and anyone who thinks otherwise should not leave the house alone. Haha complete prick am I ?Well at least i'm useful mongtard.